Enroll in 5280 Rewards, our frequent parker program, and earn points while you park. 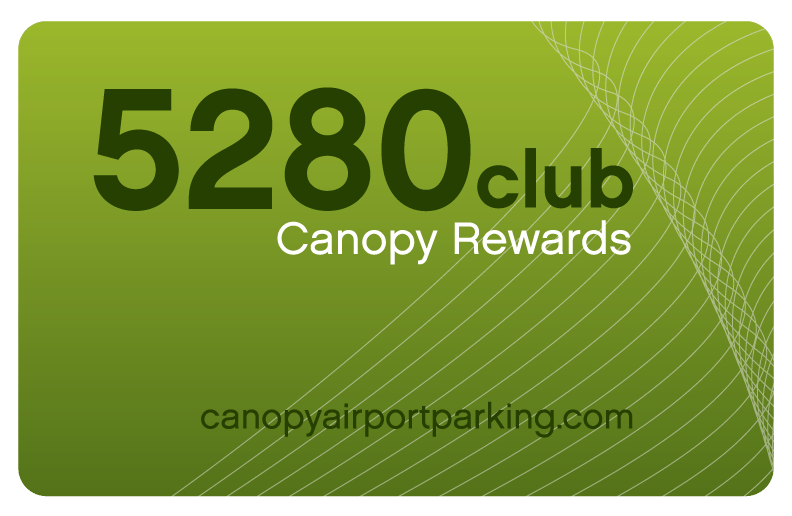 You will earn a point for every day you are parked at Canopy Airport Parking®. As you accrue points you will be able to redeem them for free services such as parking days and car cleanings. The more you park, the more you earn! Lowest rate guarenteed, no blackouts. Speedy entry and exit with 5280 proximity card or ExpressToll transponder. Discount applicable for business and personal use. If you are not currently a 5280 Rewards member, you can register for an account and enter in the required information. For a limited time, enroll in 5280 Rewards frequent parker program and get a FREE DAY of parking right away! ExpressToll Customers: Take a moment to connect your ExpressToll transponder number to your 5280 Frequent Parking Account, then start enjoying the saving! By registering your ExpressToll transponder number to your 5280 Frequent Parking Program Account, you’ll save 30% off parking and earn free days! To register your ExpressToll transponder number to your 5280 Account, email us. To contact Canopy™ about the exclusive rewards program, email us. Please Note: You must park in the lot in which you reserve with your frequent parker points, or you will be charged for your stay.